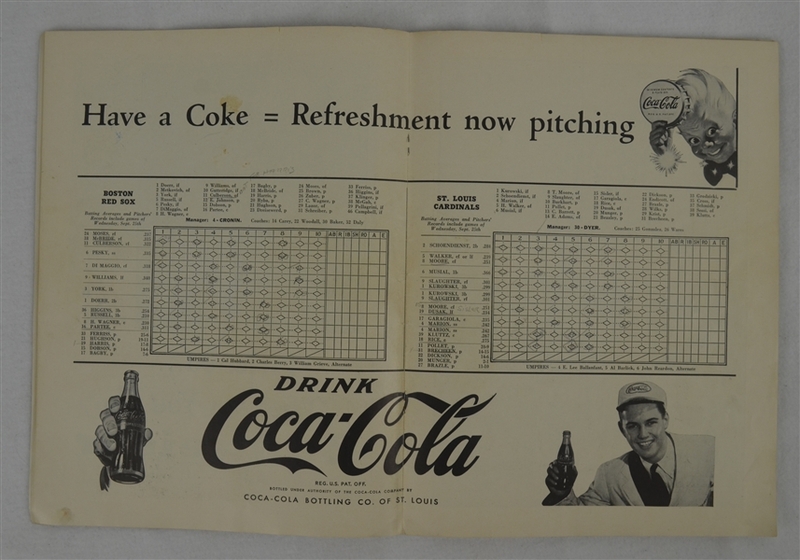 This lot features a 1946 World Series program which remains in nice overall condition. The 1946 World Series was played between the St. Louis Cardinals and the Boston Red Sox with the Cardinals prevailing in 7 games. 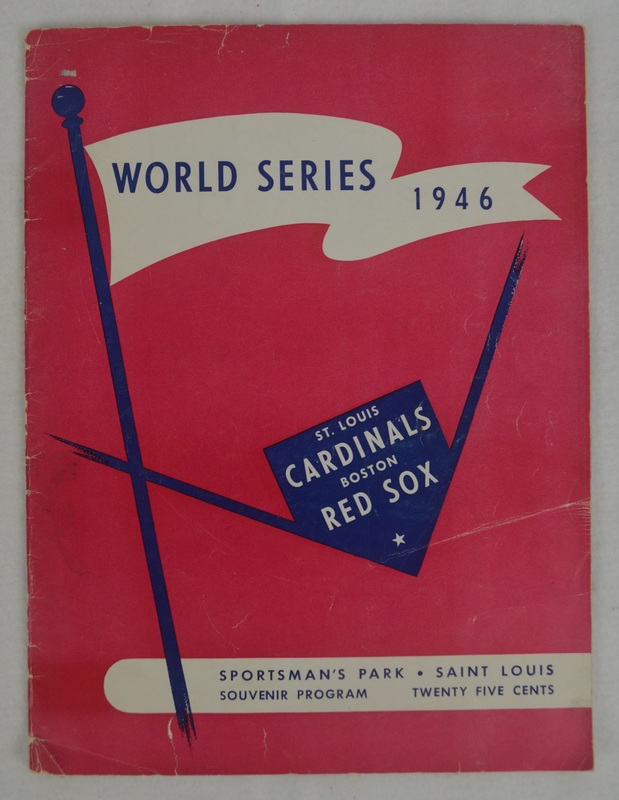 This was the Red Sox's first appearance in a World Series since their championship of 1918.